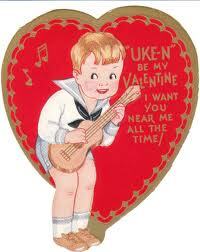 Hi all, We have added 4 new songs to the new song list for February Ukulele NIght. One for “Fat Tuesday”, one player request, one is my choice and one Stephen Foster song just because. There are YouTube videos for each of these, maybe not the same key, but you can at least get the idea of the melody in your head. Still no requets for Valentine type wongs but it’s not too late. This entry was posted in Uncategorized on February 5, 2016 by drew6491.